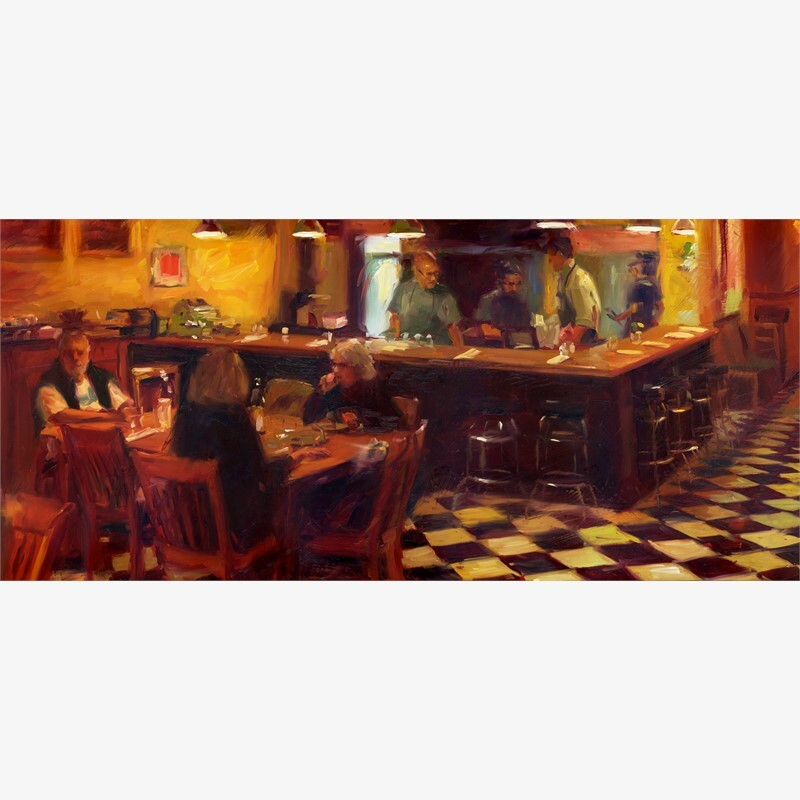 Pam Ingalls loves to paint light falling on ordinary people, objects and scenes. Raised in Spokane, Washington, she was first inspired by her parents, artists Richard and Marjorie Ingalls. 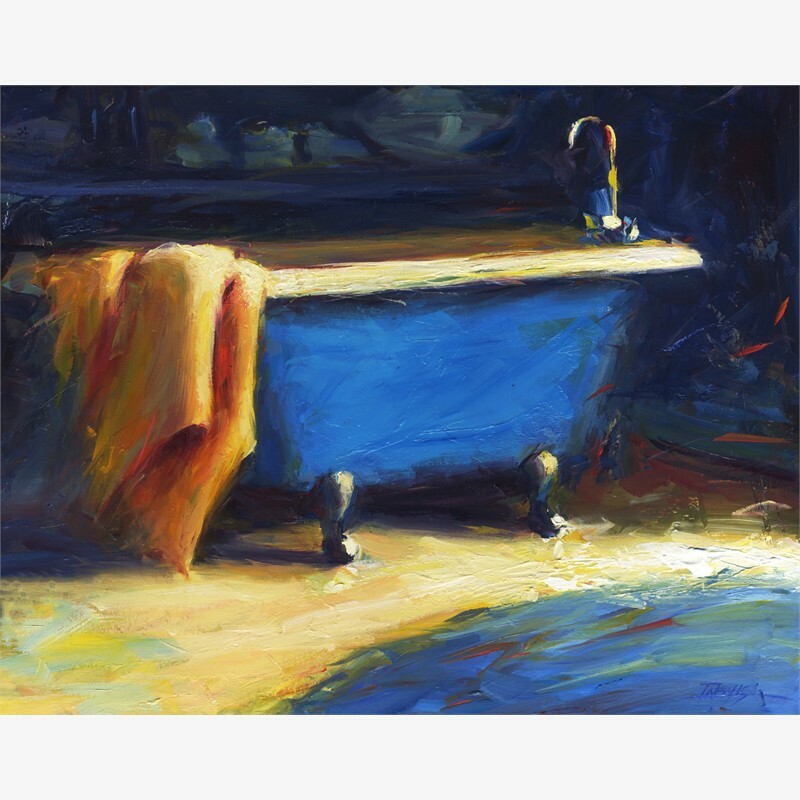 She studied art at the Accademia Di Belle Arti in Florence, Italy and earned an art degree from the art department that her father began at Gonzaga University in Spokane. After exploring a few side paths—among them, pursuing social justice aims and building a house—Pam returned to her true passion under the mentorship of Russian Impressionist, Ron Lukas - a protoge of Sergei Bongart. 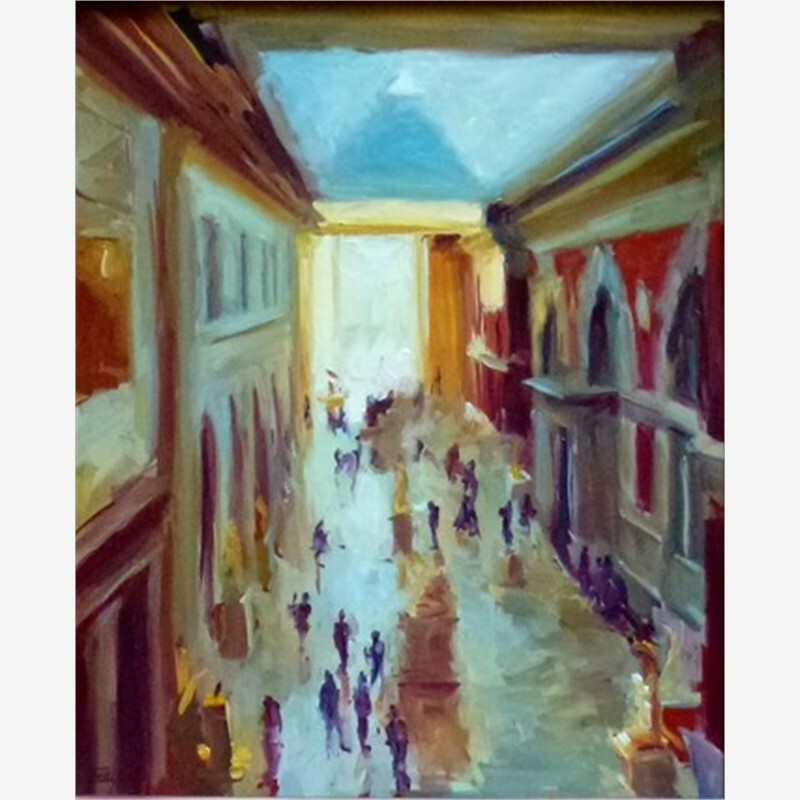 She also has studied with Frederick Frank, Richard Schmid and Burt Silverman. Strong color and sound drawing are primary in her paintings. Her choice of simple subject matter is surprising, sometimes humorous, and always full of emotion. 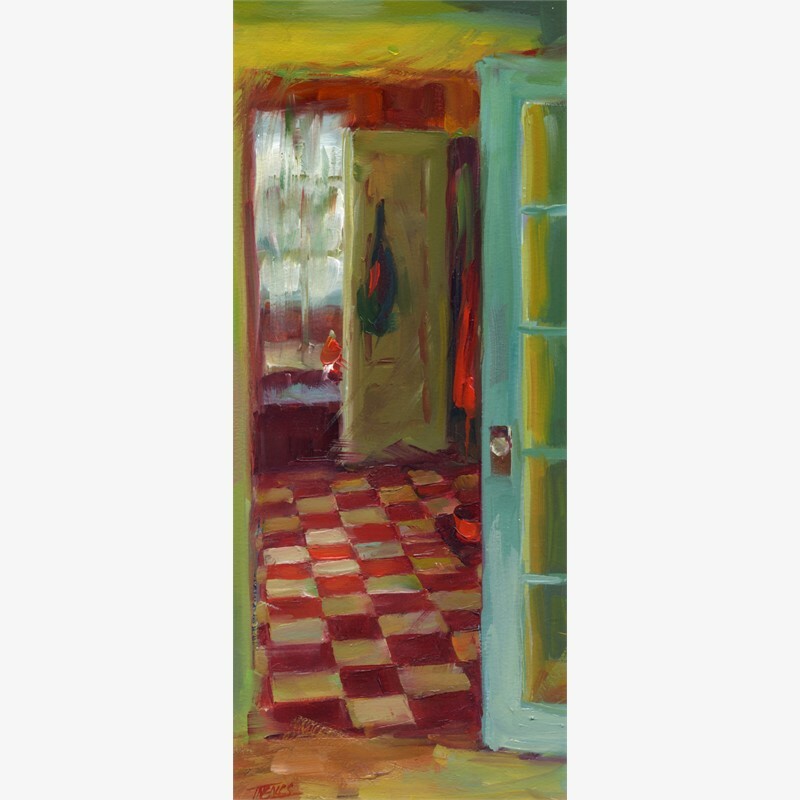 Portraits, still life and interior scenes populate her studio. 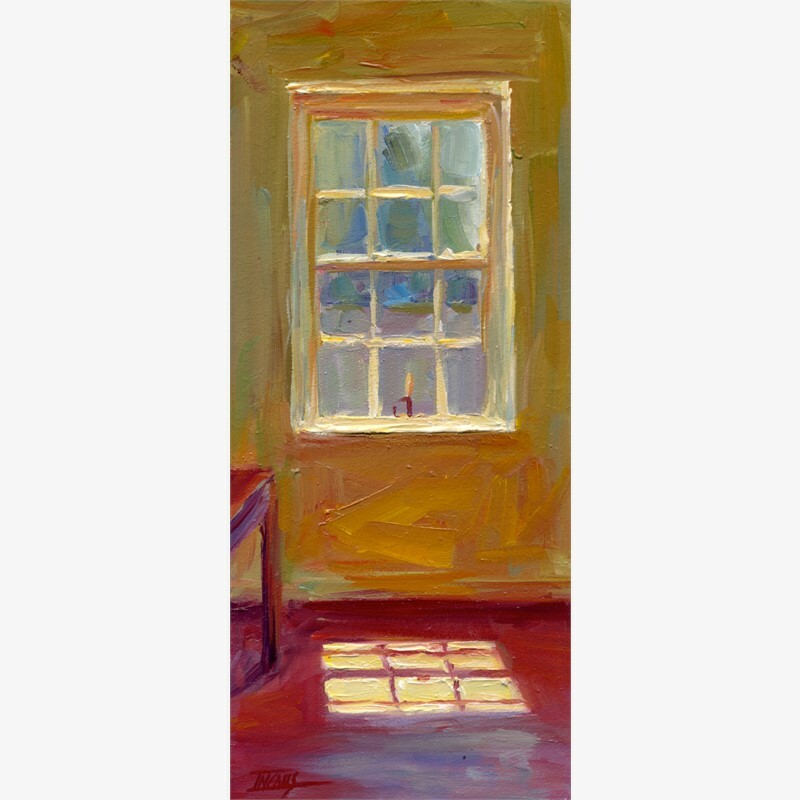 A table with chairs, a diner counter top, rubber boots standing by a kitchen door, even a clawfoot tub - all evoke a sense of humanity and presence, as if someone is either about to enter the frame or has just left it. 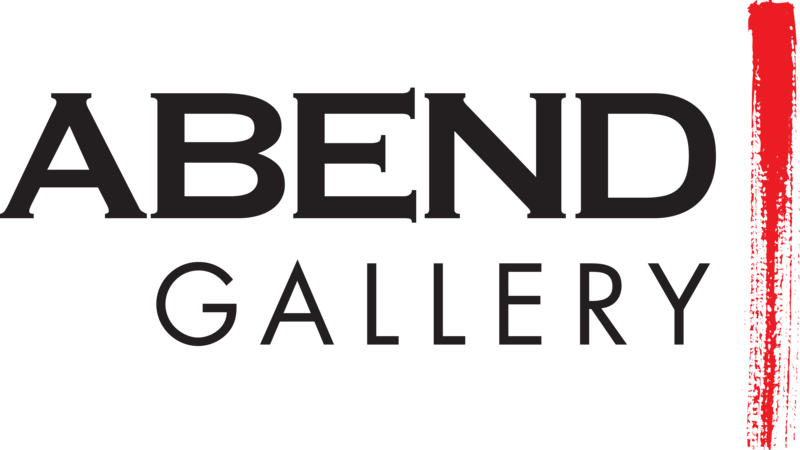 Her widely collected, award-winning work has been exhibited throughout the United States, Europe, and Africa, and juried into more than 125 national and international shows. 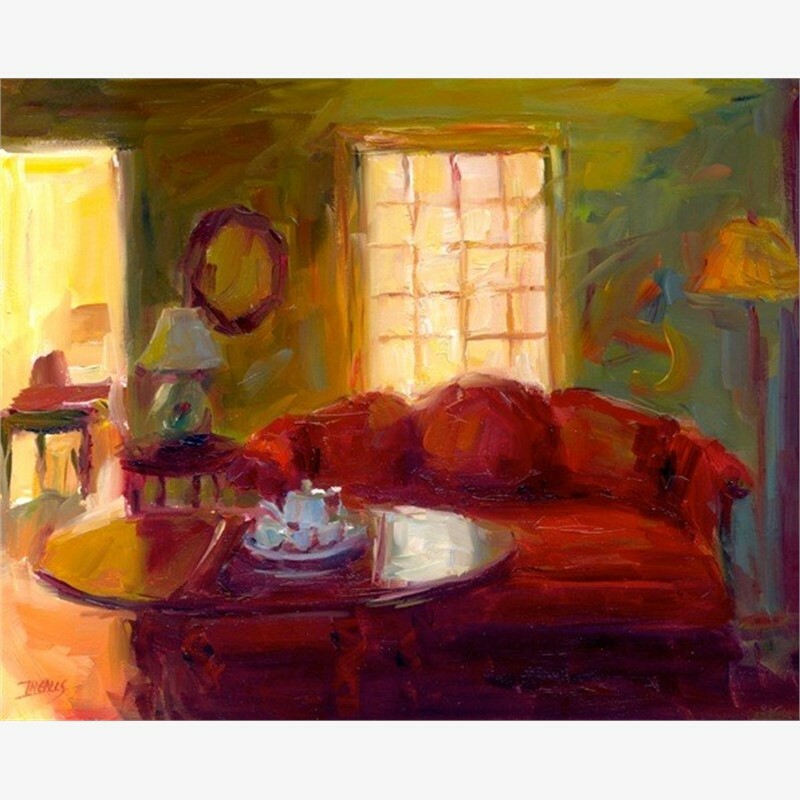 She has been featured in Southwest Art Magazine, American Art Collector and American Artists Magazine. 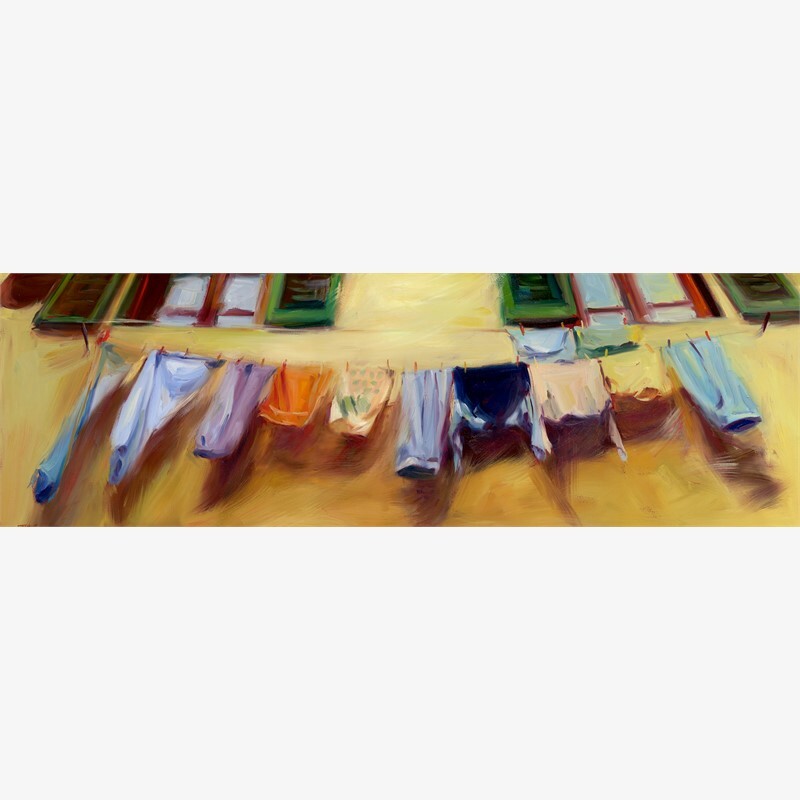 "I paint simple things – the things I see, am attached to and love. Every subject contains an essence that belongs to just that moment. I get to be with that feeling while I translate it into the poetry of paint. As I become more aware, I keep learning that truth is everywhere. Painting is my way to see and tell the truth. I hope that I’ll inspire others to look twice at the beauty of their everyday lives...and to find their own way of expressing that." 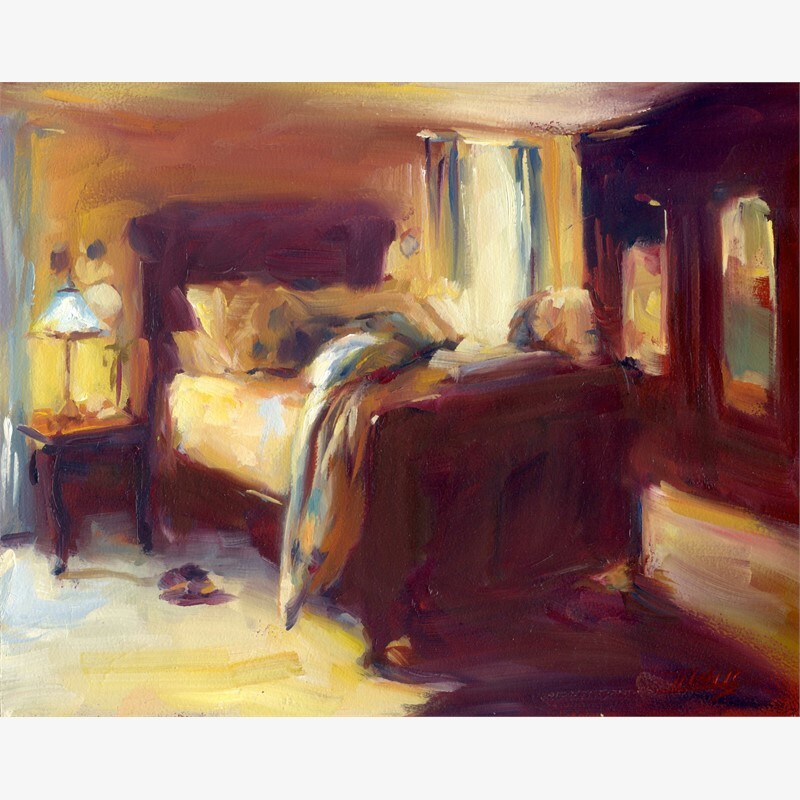 Pam Ingalls loves to paint light falling on ordinary people, objects and scenes. Raised in Spokane, Washington, she was first inspired by her parents, artists Richard and Marjorie Ingalls. 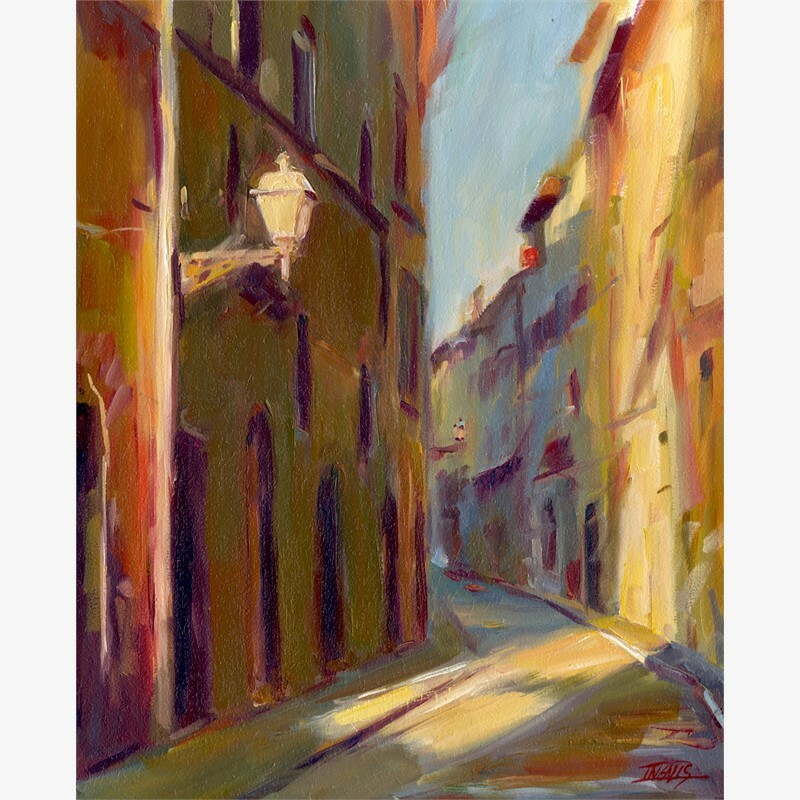 She studied art at the Accademia Di Belle Arti in Florence, Italy and earned an art degree from the art department that her father began at Gonzaga University in Spokane. 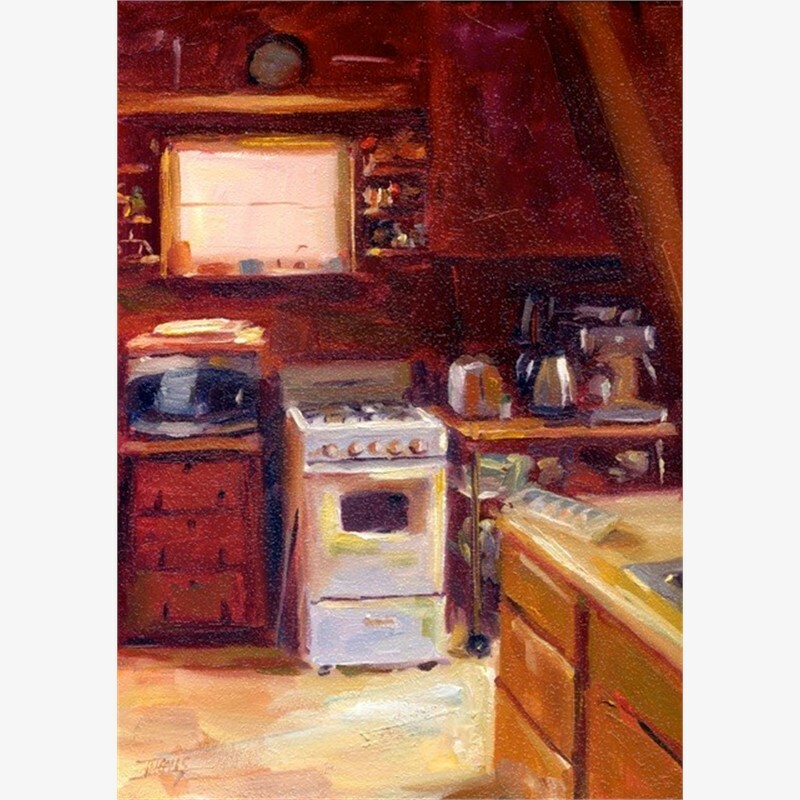 After exploring a few side paths—among them, pursuing social justice aims and building a house—Pam returned to her true passion under the mentorship of Russian Impressionist, Ron Lukas - a protoge of Sergei Bongart. 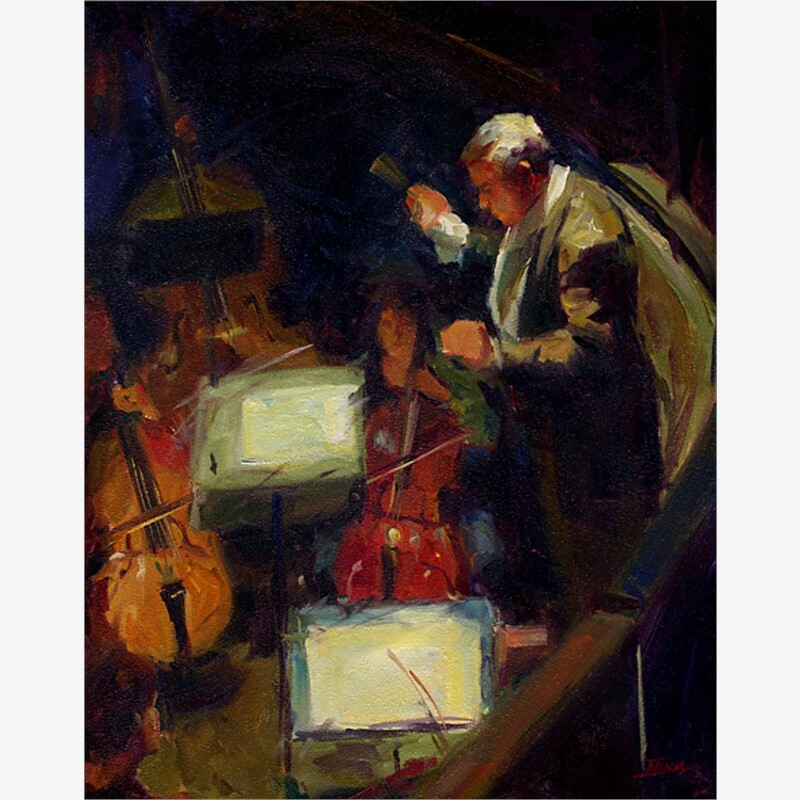 She also has studied with Frederick Frank, Richard Schmid and Burt Silverman. Strong color and sound drawing are primary in her paintings. Her choice of simple subject matter is surprising, sometimes humorous, and always full of emotion. 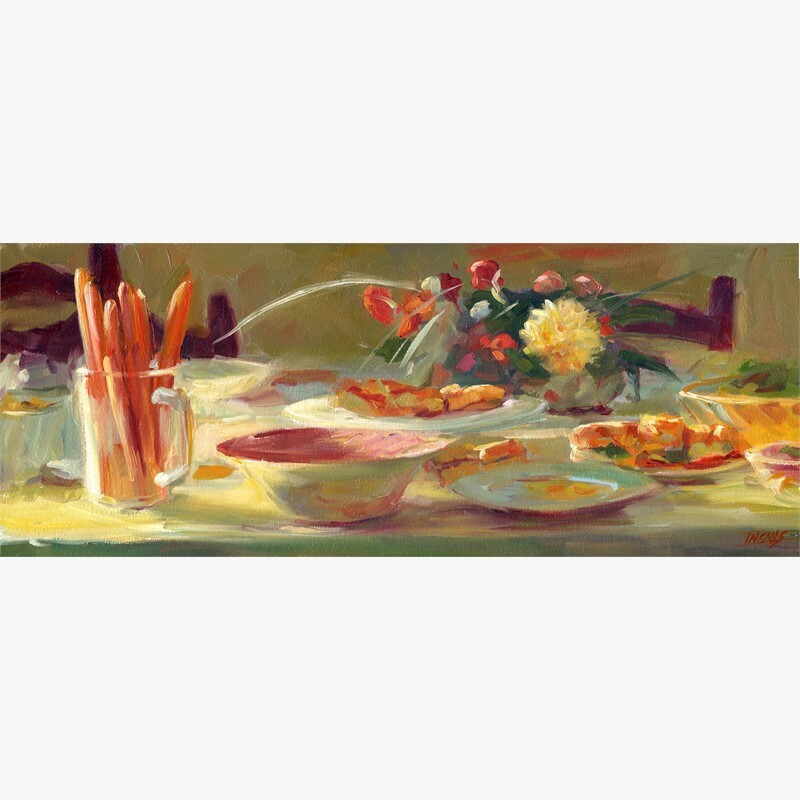 Portraits, still life and interior scenes populate her studio. 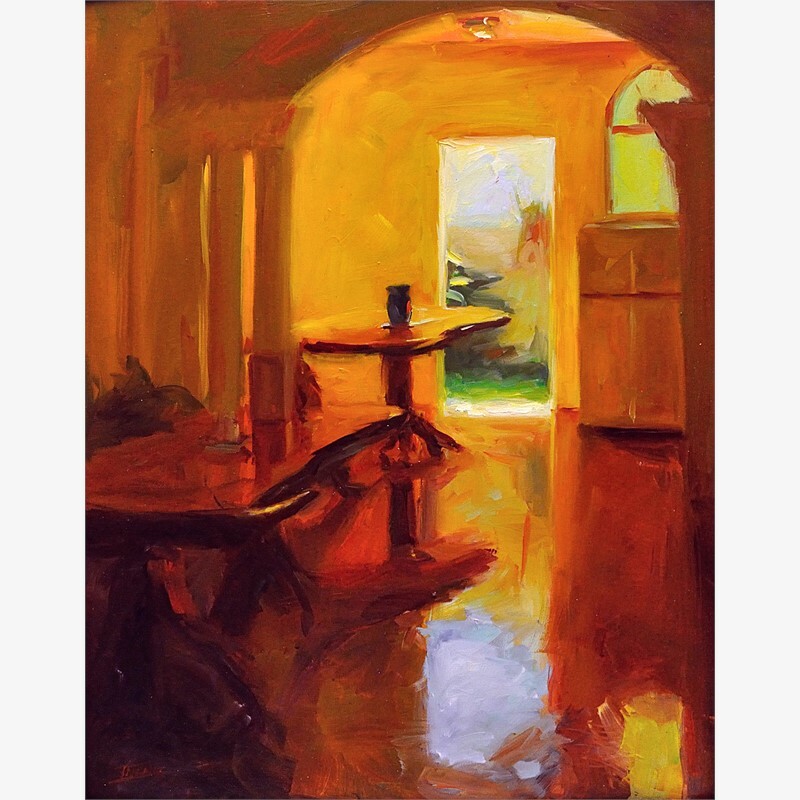 A table with chairs, a diner counter top, rubber boots standing by a kitchen door, even a clawfoot tub - all evoke a sense of humanity and presence, as if someone is either about to enter the frame or has just left it. 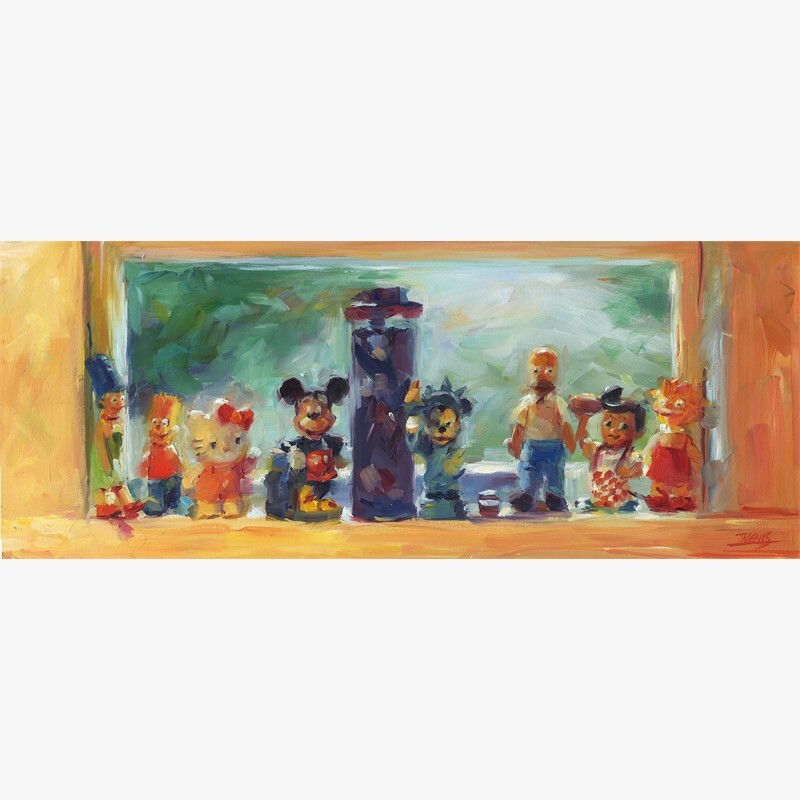 Her widely collected, award-winning work has been exhibited throughout the United States, Europe, and Africa, and juried into more than 125 national and international shows. 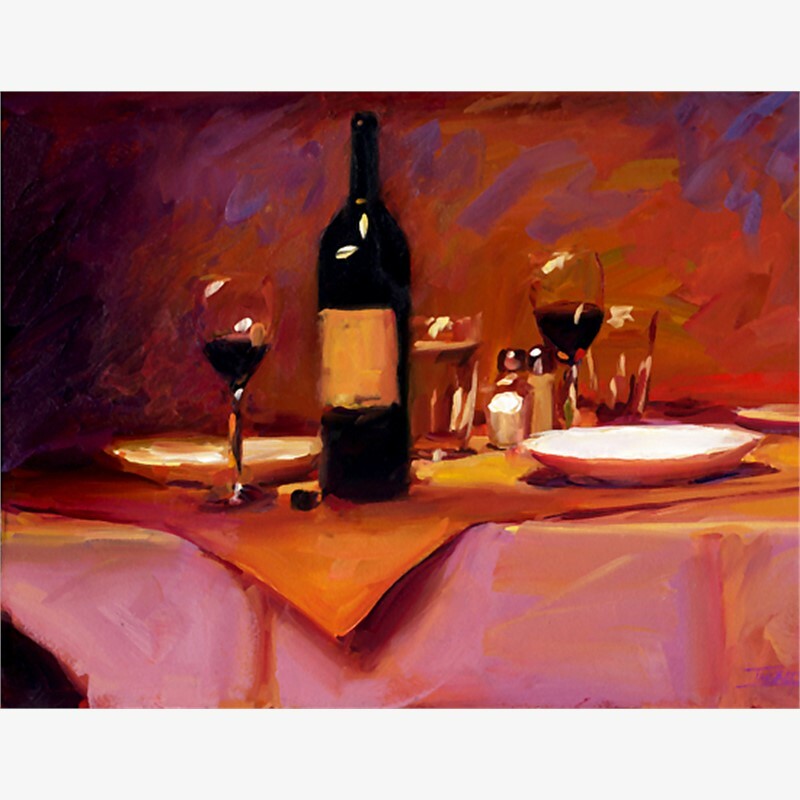 She has been featured in Southwest Art Magazine, American Art Collector and American Artists Magazine. "I paint simple things – the things I see, am attached to and love. Every subject contains an essence that belongs to just that moment. I get to be with that feeling while I translate it into the poetry of paint. As I become more aware, I keep learning that truth is everywhere. Painting is my way to see and tell the truth. I hope that I’ll inspire others to look twice at the beauty of their everyday lives...and to find their own way of expressing that."